Formation of trade unions has been a burning issue in the world’s third-largest garment exporter, Bangladesh over years. Be it due to unrest or safety of workers, various groups have been demanding the establishment of ‘proper’ unions to put forth the issues of the 4-million-strong workforce of the Bangladesh garment industry. 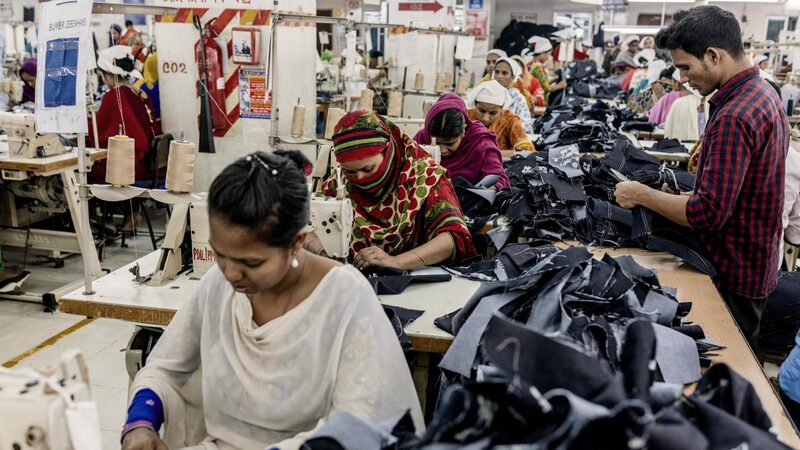 Surprisingly, a latest report by CPD (Centre for Policy Dialogue), a civil society think-tank, has revealed that almost 98 percent of apparel manufacturing units in Bangladesh are deprived of trade unions. Notably, the survey covered 3,856 factories to extract the figure. As per the report, titled ‘Conference on Transformation in the RMG Sector in Post-Rana Plaza Period’, readymade garment workers are yet to be given the credit for the success of the industry. Rehman Sobhan, Chairman, CPD mentioned that the government can enact a key role in uplifting the social welfare of the RMG workers in the country. However, Shafiul Islam Mohidddin, President, FBCCI (Federation of Bangladesh Chambers of Commerce and Industry), states that despite lesser trade unions, numerous worker welfare groups are operating in the industry to safegaurd the interest of workers. It is pertinent to add here that Bangladesh garment sector has been under the scanner not only for the safety aspect but also for the wages and treatment given to the workforce. The formation of trade unions will give voice to the workers.